It is often said that religious practices do not influence the careers of sports personalities, but there are some instances where players have chosen religion as their top priority. Sacrificing major tournaments on the occasion of religious practices is a very tough decision for any athlete. There are players who have been loyal to the religion and followed the religious path strictly. Players have previously shown their loyalty towards their religion, as in the case when Samir Nasri displayed his “Eid Mubarak” shirt after scoring against Southampton during Premier League match 4 years. In another incident, Mesut Ozil, keeping aside his professional career made a pilgrimage to Makkah. 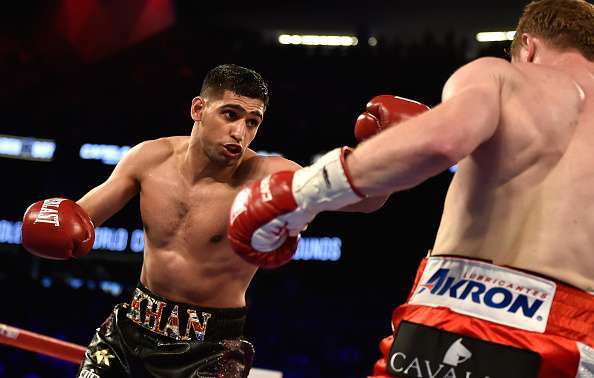 Amir Khan is a British Professional boxer, who was born to Punjabi Rajput family in Bolton, Greater Manchester. Before turning into a pro, he won a silver medal in Men’s lightweight boxing category at the 2004 Olympic Games, in Athens. He is Britain’s youngest boxing medalist at the age of 17. He was ranked world’s second best welterweight boxer by The Ring Magazine, back in May 2016. The boxer had to skip a big-money match against Floyd Mayweather back in 2014, as he was fasting for the holy month of Ramadan since he is a Muslim. The promoters admitted that he would not be able to do a proper training in July and be fit for the match which was scheduled to be played in September.